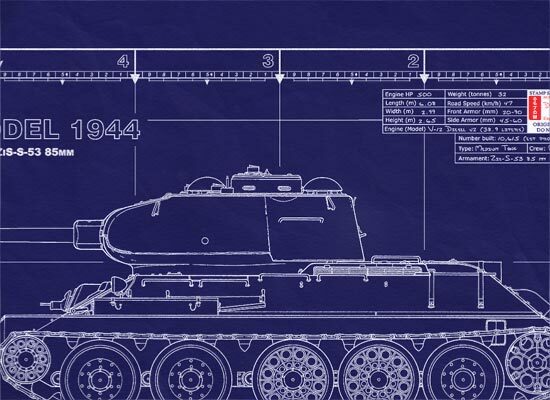 KMDB designs armoured vehicles, including the T-12, T-24 light tanks and the T-34, T-54, T-64, T-84 main battle tanks. T-34 Medium Tank was the most-produced & one of the best tanks of WWII. The T-34 had firepower, mobility & protection. 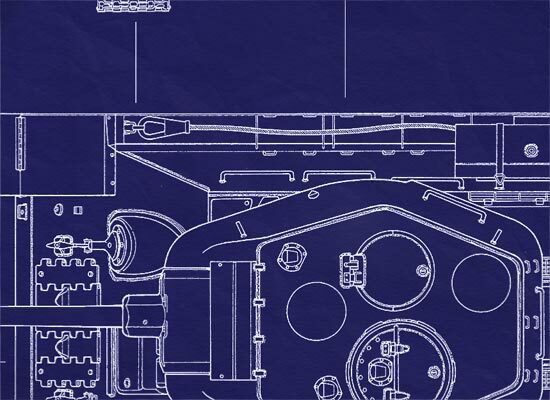 — it surpassed any other tank for ease of manufacture. This Soviet tank was a major factor in repelling the German invasion of the USSR in 1943. Pound for pound, perhaps Germany's Panther was a better tank, but the T-34 was produced at eight times the Panther's numbers. Soviets fought and won armored battles in the same manner in which they won their infantry and air battles, by attrition. Their German opponents were simply overwhelmed by numbers. The T-34/85 played the major role in pushing the Germans back into Germany in 1944. The T-34/85 was produced for Third Party Nations well into the 1960s. 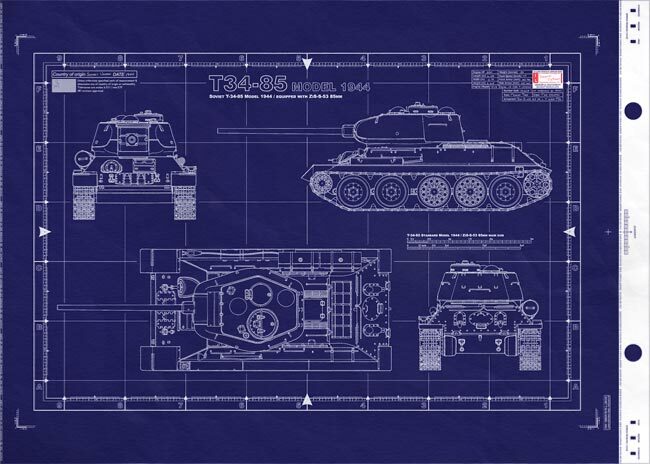 Soviet Medium Tank T-34/85 Model 1944 - This is a real blueprint made directly from vellum masters. Delivered to you on a full size master sheet measuring 42"x 30". 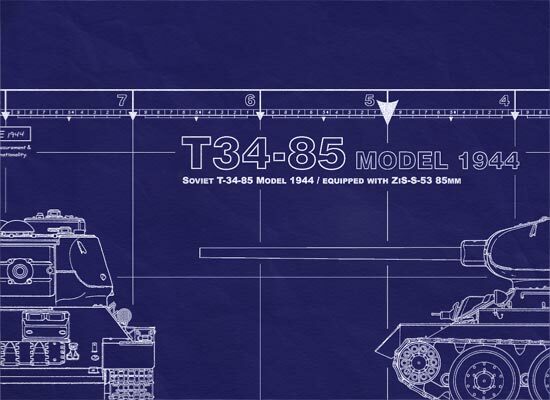 The T-34/85 was nearly a complete redesign having a new three-man turret and a larger-diameter turret ring.